Sputnik has discussed the disagreements between the leaders of Turkey and New Zealand with Ihsan Yilmaz, professor and research chair in Islamic Studies and intercultural dialogue at Deakin University, Australia. Sputnik: We know now that the Australian prime minister is set to summon the Turkish envoy over comments made by President Erdogan. How much could this potentially complicate relations between these two countries? Ihsan Yilmaz: I don’t think it will complicate the relations because at the moment there are already low-level relations. These countries are too far from each other, and also they don’t have deep economic relations. So, if the Australian politicians play the game wisely, the situation will not escalate. And I think that if they respond to Erdogan publicly, this will help Erdogan because he is just campaigning for local elections, there is a very serious economic problem in Turkey and Erdogan’s voters are upset and they are having trouble with regards to economic issues; he must divert attention from the domestic troubles to imaginary international enemies. And in this context, [a] “Crusader West” is a very safe bet for him to play. So, if the Australian politicians don’t respond to him publicly, I hope the relations will not escalate. Sputnik: Mr. Morrison did say – although he said all options were on the table – he did say that his actions are to be measured and to deescalate and not engage in a cycle of recklessness, which, I suppose, means rather what you’ve just said. Ihsan Yilmaz: Yes, because I’m sure they’ve been observing what Erdogan has been doing since the Gezi event in 2013. Since then, instead of explaining the domestic problems or responding to the domestic criticism, he has chosen to blame imaginary international actors that are enemies of Turkey. 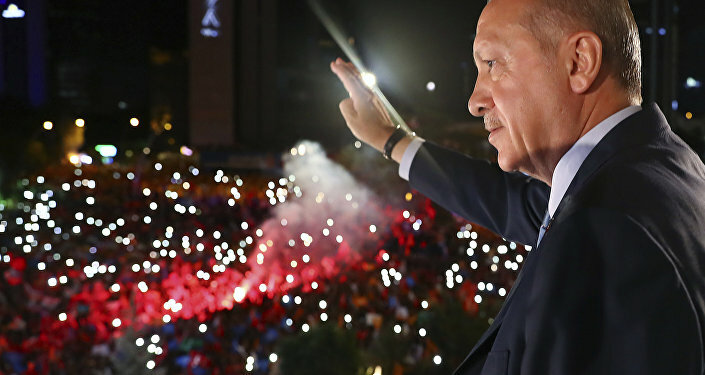 And in this context, he has blamed the West, NATO, the European Union, the United States, and other states that they have been plotting against Turkey, because Turkey is the leader of the Muslim world in his imagination, and they are jealous that Turkey is playing a leading role — especially in the Middle East and also in the Muslim world. 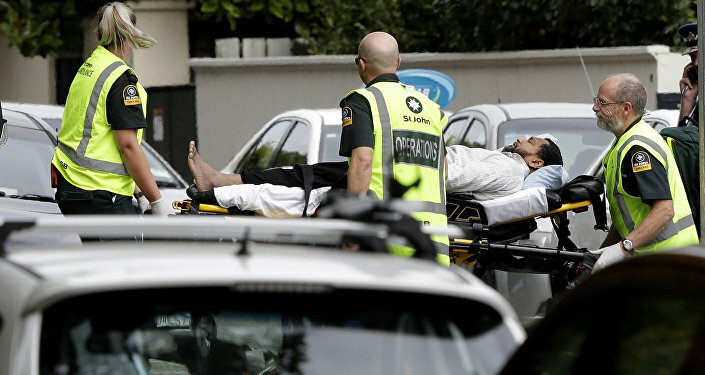 That’s why Erdogan has responded to the New Zealand terrorist event and he sent his vice president and also his foreign minister as soon as possible to give the image that he is the leader of the Muslim world, so Muslims all over the world have been victimised and he is the defender. So, Australian politicians have been, of course, observing this and how, just before the elections, he has verbal fights with German politicians, Dutch politicians, Belgian politicians, and so on. So, it is in their best interest to keep this at a low level. Ihsan Yilmaz: At one level yes, this is pre-election [rhetoric]; but at another level this is part of a bigger game, a bigger project. As I said, Erdogan is trying to project himself as the leader of the Muslim world; so, when he was criticising – of course, justifiably – Israeli atrocities against Palestinians, many applauded it and he observed that, and he was very happy with this. When you look at his media, you would see that he has always been referred to as the “leader of the Muslim world”. That’s why he is now in competition with Saudi Prince Salman, and also he has been in competition with Egypt and even Iran. So, at one level yes, this is for domestic consumption, for the short term just before the elections; but this will continue, and actually this has been going on even when there are no elections in Turkey. So, this is part of another game of projecting himself, and also Turkey, as the leading hegemonic figures in the Muslim world. Sputnik: But Prime Minister Morrison, the Australian prime minister, did say that all options were on the table. How high are the chances that this spat might actually escalate into a diplomatic row? Ihsan Yilmaz: I don’t think this will continue, because there is nothing the Australians can do at the moment; they can actually change the travel advice, saying that don’t go to [Turkey], but there are not actually hundreds of thousands of Australian tourists going to Turkey, so this is not a very serious leverage for Turkey. So, if Erdogan needs a big enemy, Australia is not a big enemy. If he wants, he can project Australia as part of Western civilization, an extension of the British Empire, an ally of the United States and so on, but this will take some time; and I don’t think this will evolve into that, because this is hard work. So, if Australians don’t respond to him, then this will not escalate. Another thing is that in the imagination of the Turkish nation, Australians, as part of Anzac, have been always seen as nice and friendly people, so it is not so easy to simply transform this image to Turkey’s enemies. But now Erdogan is desperate, so he is trying everything. But if the Australians, as I’ve said, play wisely and don’t respond to him publicly and harshly, I think this will deescalate. Sputnik: In your opinion, what could it take to ease the existing tensions? Will this visit be enough? Ihsan Yilmaz: I’m not sure these visits are needed; and, of course, actions are needed. And also another thing that Australians could do is to simply encourage its Muslims, who are 2.5 percent of the population, who have been living here peacefully for generations and have integrated very well into the Australian society; so, some opinion leaders among these Muslims could speak up and say “we’ve been comfortably and peacefully living here; please, don’t use us or Muslim issues for your domestic consumption”. A public open letter to Erdogan might help.